Following the People’s Climate March and Climate Week we should be thinking about what we can do to reduce our impact on the environment. One of these solutions is to reduce food waste. 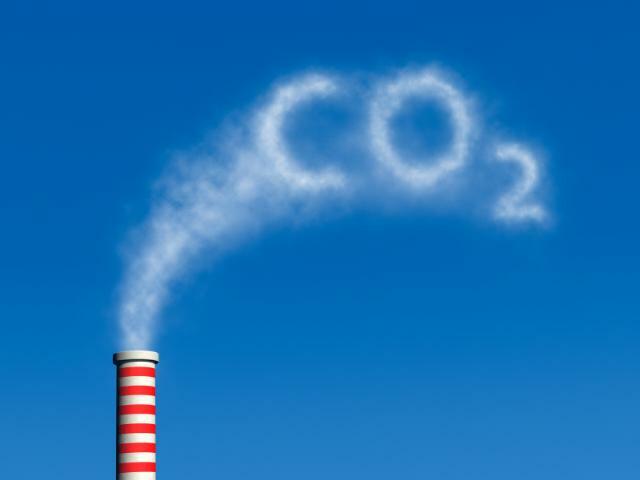 Carbon dioxide is a greenhouse gas that contributes to climate change, but another gas – methane – is far more potent and has an intimate relationship with your dinner plate. Methane is 20 times stronger than carbon dioxide and 18 percent of its emission in the US comes from food and other organic material decomposing in landfills. In a food waste report from the National Resources Defense Council, Dana Gunders estimates that 40% of food goes uneaten in the US. Less wasted food will cut landfill emissions, save you money on buying, preparing and discarding less food, help conserve energy and resources that go into producing food in the first place and help fight climate change. Recognizing the benefits from reducing food waste and diverting food from landfills, some states have established aggressive initiatives, and in some cases mandates, that will cause big wasters to find a solution for their food waste, one that does not include landfill. As similar mandates start springing up across the country because of limited landfill capacity or emission reduction goals only a few solutions exist that have proven to be cost-effective and scalable. BioHitech America identified this problem more than 8 year ago and has since evolved their Eco-Safe Digester to be more than just an on-site aerobic digester. It has smart technology on board that transmits data about what is being wasted in order to make sure it is not wasted a second time. Reducing food waste is a simple solution to reducing greenhouse gasses and reducing your carbon footprint. This entry was posted in Technology and the Environment and tagged BioHitech America, Diverting Food Waste, Reducing Carbon Footprint, Reducing Food Waste on October 16, 2014 by Lisa Giovannielli. According to the USDA, the United States throws out just slightly over one quarter, or 25.9 million tons of food waste annually. There are other studies that project this number is vastly higher, and that supermarkets, restaurants and convenience stores alone throw away 27 million tons of food a year, (which represents about $30 billion of wasted food). These numbers seem astonishing and yet other countries are doing far worse than the United States. It is a known fact that food is biodegradable, so why is this an issue? Each bag of garbage that we throw out goes into landfills throughout the United States, which are slowly running out of room. 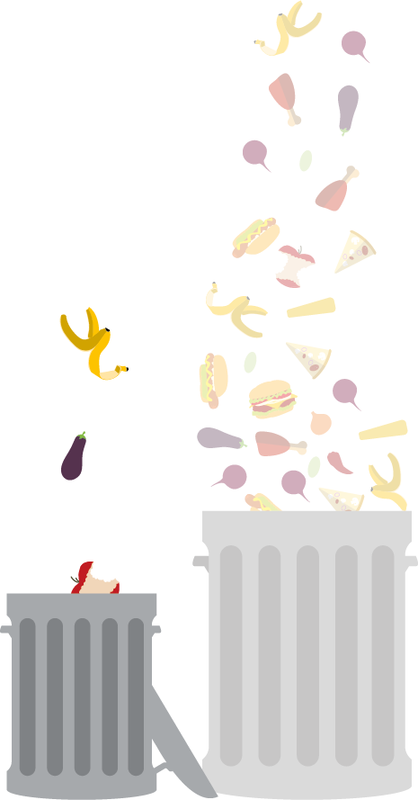 More importantly, when food waste breaks down, it turns into methane gas. Methane gas traps up to 23 times as much heat in the atmosphere than CO2, and landfills are the places where you find most of it, they account for about 34 percent methane gas emissions in the United States. This is just one way food waste effects the environment. Another way the environment is effected is from food production. Production of food is very costly to the environment, land needs to be cleared to plant crops, fertilizers and pesticides are often used which damage the earth after years of applying this to the crops. Saving only 5% of our left over’s can feed 4 million people per day. Most food waste starts with the grower, supplier and distribution levels, due to imperfect foods do not meet the demand of the market. Buy only what is going to be eaten. Buying in bulk often seems like a good idea, but more often than not, food that is no longer appetizing or becomes rotten gets thrown out, also wasting money. Keeping food storage organized will assist in reducing food waste. Keep left over’s on one side of the fridge so it’s easily visible. Freeze foods that will not be eaten right away, and do an inventory of the fridge several times a week to make sure things are not pushed to the back and forgotten about. Share your food with your friends, family and neighbors. It saves food, result s in building community and generosity is always appreciated. Do not throw out old fruits and veggies. Make a soup out of them! Then they can be frozen and consumed later. This entry was posted in Environmental Concerns and tagged Food Waste, Reducing Food Waste on September 17, 2010 by BioHitech America.